Should I Buy Meat at the Local Butcher? Before you found out you were pregnant it was nothing to head into the local butcher and buy a pound or two of fresh hamburger for that last-minute cookout. Now, baby is on the way and you are starting to think about the foods you choose more closely than before. 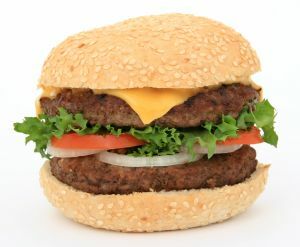 Is that fresh hamburger from the local butcher safe to eat during pregnancy or could you be placing your baby in danger? There is probably nothing wrong with the ground beef and other fresh meat you buy from the local butcher, but there are also more lax safety controls when it comes to handling the meat. Sure, local and state agencies may check the butcher from time to time and he may pass all checks with flying colors, but the system of checks and balances, in terms of food safety, are not as strong as they are for meat packaging plants. Large companies have temperature controlled rooms to keep meat fresh. The meat is ground, processed and packaged in a controlled setting. Between batches, machines are cleaned and sterilized. There are times when contamination occurs, but those instances tend to be decades apart. Butchers have coolers and freezers as well, but a person is in control of where the meat is located. All machinery is cleaned and sanitized by one or more persons and there is no quality assurance department in place to ensure all practices are followed as they should be. One slip in any step of the cleaning, grinding or packaging phases and your meat could be contaminated. Food safety is extremely important during pregnancy. It is always better to be safe than sorry, but the final choice is up to you. Your local grocery store purchases meat products from large companies with a quality assurance department and a system of checks and balances to make sure meat is safely handled, processed and packaged. The local butcher probably doesn’t have a system quite as stringent. Previous: Are You Having Fraternal Twins or Identical Twins?